The Falkland Islands are among the few places left that can truly be described as 'off the beaten track'. The breathtaking scenery, abundant wildlife and fascinating way of life of the inhabitatnts, coupled with the pleasant, temperate climate (with occasional strong winds) all contribute to making any visit to the islands an unforgettable experience - particularly for first-timers. This fascinating and indispensable guide provides a comprehensive full-colour insight into the top nineteen destinations currently visited by cruise vessels in the Falkland Islands. It also describes briefly four other sites which are hoping to attract the cruise industry in the future. The introductory map shows the location of each place within the Falklands archipelago. The associated text and detailed maps outline the history, and provide information on the wildlife, geology, possible landing places and nature/hiking trails. A checklist of all species mentioned, with their English and scientific names, is included. There is also information on the history, the people, Stanley - the capital of the Islands - and much more. Most of these tourist sites are privately owned and the unique maps, which have been drawn specially for this book, contain information added personally by landowners that does not appear in any other publication. For each site, there is a 'features' column which highlights the most important aspects. 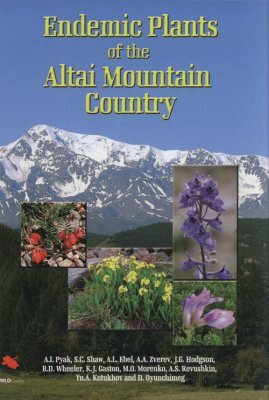 The book is illustrated throughout with a unique collection of high quality photographs of the scenery, wildlife and historical features. The Antarctic Dive Guide is the first and only dive guide to the seventh continent, until recently the exclusive realm of scientific and military divers. Today, however, the icy waters of Antarctica have become the extreme destination for recreational divers wishing to explore beyond the conventional and observe the strange marine life that abounds below the surface. This book is packed with information about the history of diving in Antarctica and its wildlife, and features stunning underwater photography. The Antarctic Dive Guide covers 31 key dive sites on the Antarctic Peninsula and South Georgia and includes maps and detailed guidance on how best to explore each site. Essential information is also provided on how to choose and prepare for travel to this remote region, and diving techniques for subzero waters. This book is an indispensable resource for anyone considering diving in Antarctica, and an exciting read for anyone interested in this little-explored underwater world. 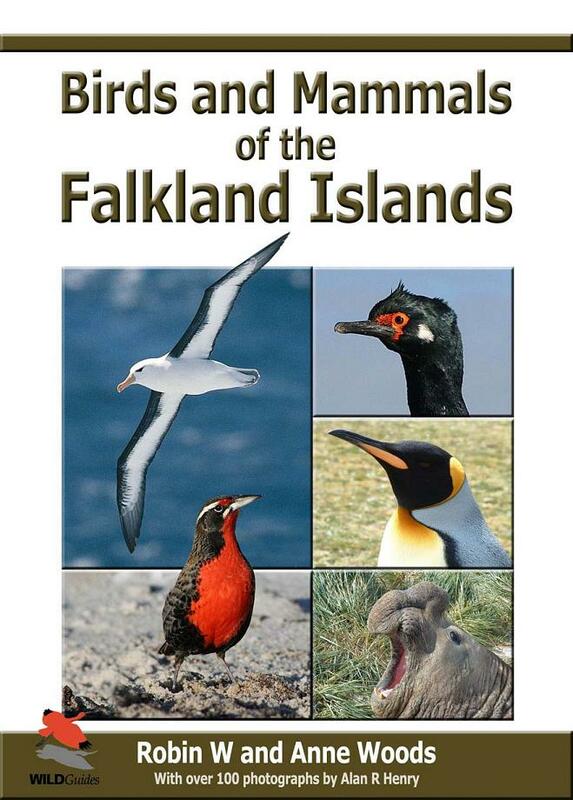 An authoritative photographic guide to the birds and land and marine mammals most likely to be encountered during a visit to the Falkland Islands. The 43 stunning colour plates feature photographs by Islander Alan Henry and are accompanied by text covering the key identification features for each species along with notes on habitat, population and conservation status. 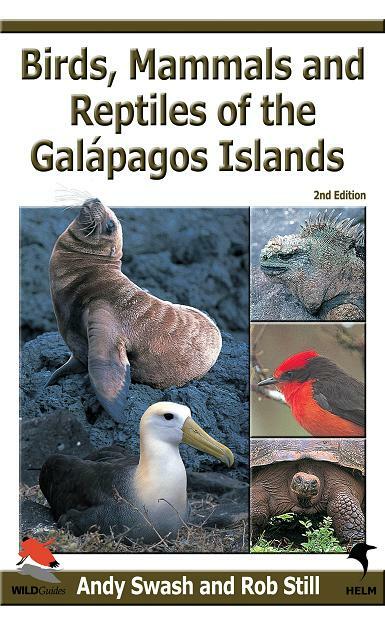 This is the first comprehensive guide to the birds, mammals and reptiles of the Galápagos Islands, covering every living species recorded. This second edition contains updated information, new images and the latest distribution and taxonomic information. Its innovative, simple-to-use format aims to help visitors to the Galápagos identify any bird, mammal or reptile they encounter, whether they are a beginner or an expert. The 53 remarkable colour plates have been produced using the latest digital image technology and include images of some species never previously published. 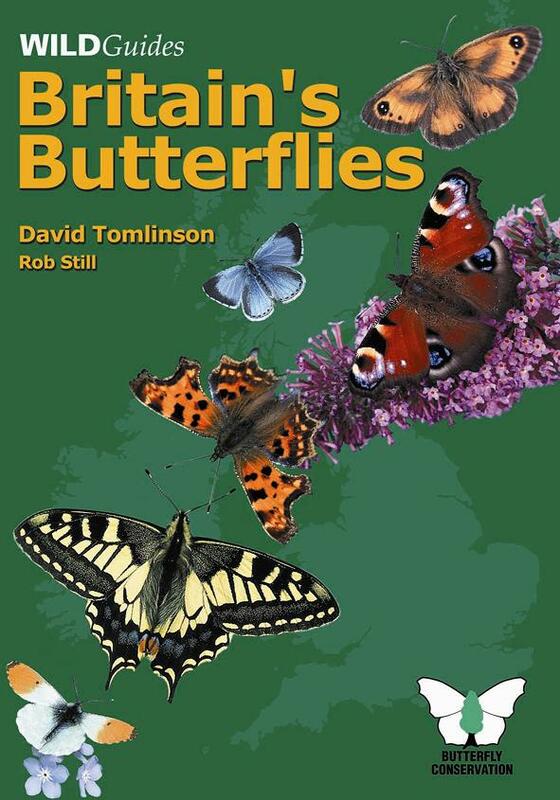 The text covers the key identification features of each species, emphasising the differences between similar species, and includes information on status, habitat preferences and breeding seasons. All endemic species and subspecies are highlighted. Colour distribution maps accompany the text for each resident species. The southern part of the Iberian peninsula is characterised by a rugged mountain chain called the Betic Cordillera. The western part of this chain, between Málaga and Gibraltar, is an area of exceptional natural beauty. It is home to Europe's largest spider (the Gibraltar funnel-web spider) and Europe's largest praying mantis, as well as such famous 'mini-beasts' as the Monarch butterfly and Spanish Scorpion. In addition, the Straits of Gibraltar offer some wonderful whale-watching opportunities. This guide provides an introduction to riches of the area and suggestions for places to visit to discover some of its hidden treasures. 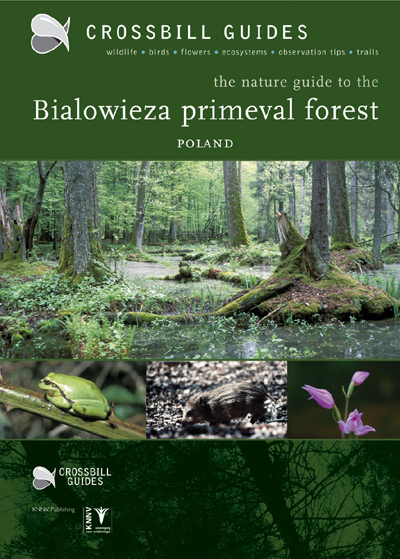 The Bialowieza Primeval Forest can be an overpowering place. It is attractive by virtue of its extraordinary wildlife and yet dauntingly vast. This beautifully illustrated guide provides an introduction to the area. Its aim is to enable the visitor confidently to explore the many tracks and paths and thereby maximize their chances of a truly magical experience. The book contains a number of suggested itineraries which enable the visitor to discover this unique and fascinating area at their own pace. 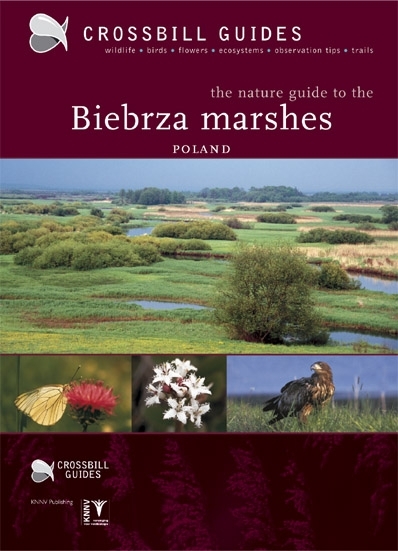 This Crossbill Guide to the Biebrza Marshes provides an introduction to this fascinating region and suggested itineraries which allow the visitor to discover the area at their own pace. The whole of the province of Podlasia, in which the Biebrza Marshes are situated, has a wealth of natural treasures. A trip to the Biebrza Marshes is easily combined with a visit to the nearby Narew National Park and to the famous Bialowieza National Park. Before entering into the Mediterranean Sea, the River Rhone branches out into a delta to create a large coastal marshland called the Camargue. 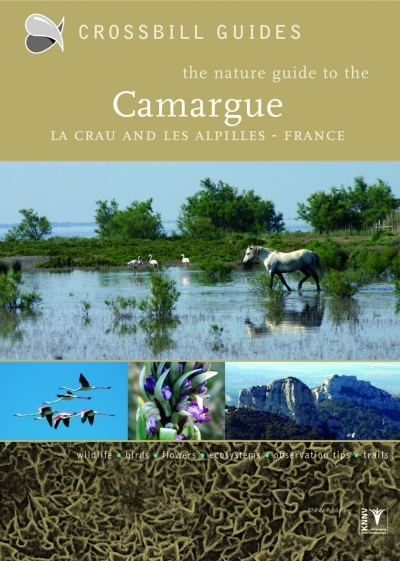 As one of the most diverse, bird-rich and accessible wetlands of the Mediterranean basin, the Camargue is deservedly a classic destination for naturalists. 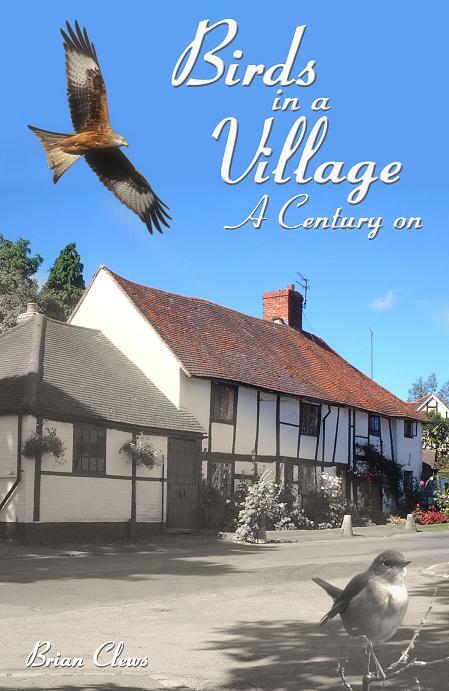 This Guide provides an introduction to this fascinating region and provides suggestions for routes to help those interested in wildlife, landscapes and history to discover some of the area's hidden treasures. 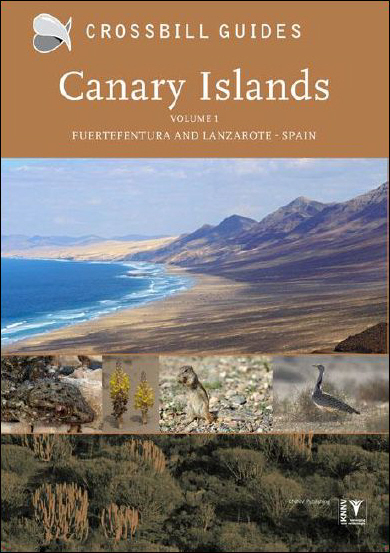 This new title in the Crossbill Guides Series covers Lanzarote and Fuerteventura, the two easternmost Canary Islands. Lanzarote and Fuerteventura only recently became known to the general public as a winter destination for sun seekers. However, these islands, with their odd mix of Volcanic and Saharan-style desert landscapes, support a wonderful flora and fauna – especially birds – many of which occur nowhere else in Europe (or even the world) but here. As any Crossbill Guide, the Canary Islands Vol. 1 - Lanzarote and Fuerteventura guide gives detailed route descriptions (9 in total) and site descriptions (about 10) for naturalists throughout both islands, covering the best sites for birdwatching, finding wildflowers, dragonflies and butterflies, seeing marine life and the most remarkable geological sites. It also gives detailed information on tracking down the evolutionary processes that shaped the unique ecology of these isolated Atlantic Islands. This information comes with extensive descriptions of the ecology, geology, history and flora and fauna of Lanzarote and Fuerteventura. The Cévennes National Park, together with its twin the Parc Naturel des Grands Causses, are among the richest natural areas in France. Against a stunning backdrop of steep cliffs, extensive forests and open, steppe-like plateaux, the visitor can discover an exceptional wealth of flora and fauna. The hundreds of kilometres of trails and tracks make it easy to explore the area and marvel at its wealth of orchids and other wildflowers, and its superb range of birds and butterflies. The traditional, medieval villages lying amidst the impressive mountainous country provide a relaxed starting point for exploration. In other words, the Cévennes has everything a naturalist could wish for. Part of the renowned Crossbill Guides series for nature enthusiasts that combine interesting and insightful accounts with up-to-date and practical tourist information and observation tips. 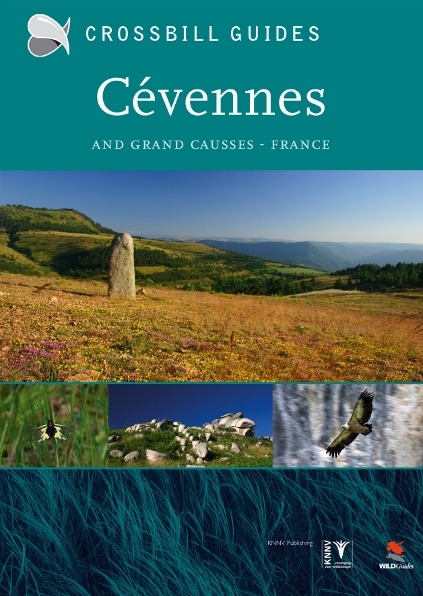 Detailed descriptions of hiking trails and car routes are conveniently linked to information on everything the visitor would wish to know about the Cévennes and Grands Causses' splendid nature. 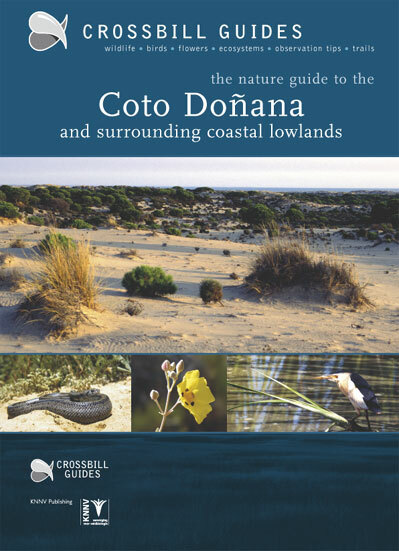 The Coto Doñana is a large, wild wetland at the southwestern tip of Europe. Although the area is of great interest to birdwatchers, the Coto Doñana should be high on the list of places to visit for the all-round naturalist and any tourist who has even a casual interest in wildlife. This Guide to the Coto Doñana and surrounding coastal lowlands provides an introduction to this fascinating region and provides a number of itineraries to help the visitor discover the area at their own pace. In the border area of southeast Bulgaria and northeast Greece lie the remote mountains of the Eastern Rhodopes. This surprisingly wild and unspoiled region is home to an extraordinary array of rare species and exciting habitats. Together with the adjacent National Park of Dadia, the Evros Delta and the Nestos Delta in Greece, this guide covers a whole range habitats, from salt and freshwater marshes to steep rock cliffs and from Mediterranean scrubland to cool beech forests. The name 'Extremadura' can be loosely translated as 'the back of beyond'. The landscape is wild and open, but, especially in spring, also has a very attractive face, with flower-lined streams and a profusion of wildflowers in the dehesas. In recent years, the government of Extremadura has greatly improved the tourist facilities, and nowadays the region can be easily explored by car or on foot. This guide provides an introduction to this fascinating region and suggests a number of itineraries which enable the visitor to discover the area at their own pace. Lapland is Finland’s northernmost province and lies almost entirely above the Arctic Circle. Large parts of the province are wilderness. Most of the land, particularly in the north, is in a pristine state. A visit to Finnish Lapland is an experience that is hard to capture in words. The land is vast and roads are few. The National Park of Lemmenjoki is, together with adjacent reserves in North Norway, the largest area in Europe without roads or drivable tracks. Deep in this wilderness, enigmatic animals, such as Brown Bear, Wolverine, Wolf, Lynx and Elk, lurk. Yet at the same time, the Lapland experience unique wilderness induces reflection. The forests are – and feel – vast and empty. Their silence is all-encompassing and humbling. Where to go? How to get there? What is there to see? These are the questions answered by this stunningly-illustrated guide to one of Europe's most beautiful regions. 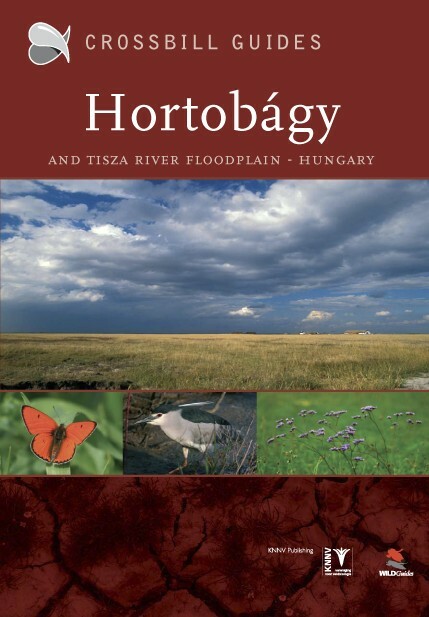 In clear and accessible language, the Hortobágy is fully explained, with extensive reference to routes where the area's features can best be observed. The book makes the Hortobágy come alive. Its geology, history, landscapes and range of habitats are fully described and the amazing fauna and flora to be found are exquisitely illustrated with high quality colour photographs. Annotated maps highlight the recommended walks and cycle routes. 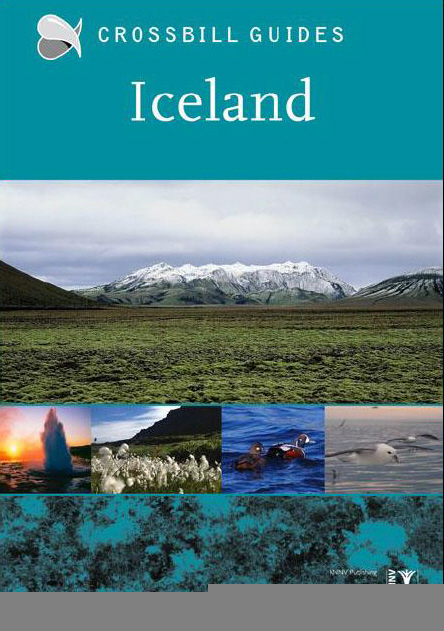 This new title in the Crossbill Guides Series covers Iceland, a country well known for its superb landscape, unique geology and splendid birdlife. As any Crossbill Guide, the Iceland title gives detailed route descriptions (16 in total) and site descriptions (close to 50) for naturalists throughout Iceland, covering the best sites for birdwatching, finding wildflowers, seeing marine life and, in the case of Iceland, the most remarkable geological sites. This information comes with extensive descriptions of the ecology, geology, history and flora and fauna of Iceland. The Loire valley (roughly the administrative region Region Centre) lies right in the heart of France. The grand river Loire flows right through the centre of the region. It has been declared a UNESCO World Heritage Site owing to its high concentration of stunning castles and stately homes. This part of France is gentle in its topography, its scenery, its climate and, with the aid of fine wines and food, its general pace of life. Perhaps less known is the fact that this region also supports a mouth-watering flora and fauna. In North-east Poland you’ll find a concentration of National Parks and nature reserves which, combined, is the show piece of the nature of the temperate European zone. The most intact primeval lowland forest of Europe lies in short distance of the most unscathed large river of the continent. A multitude of other reserves hold splendid woodlands, fen mires, lakes and bogs within a beautiful small-scale rural landscape. The landscape, the very rich birdlife, the Elks, Bison, Wolves and other mammals, and the many unscathed habitats which form a benchmark for nature conservation throughout the continent, are all reasons to visit this superb part of Europe. Huesca is the northern province of Aragón and covers the whole of the central Spanish Pyrenees and much of the arid, desert-like lowlands of the Ebro river. The diversity in landscapes, flora and fauna of this relatively small area is immense and ranks among the highest of Europe. The area comprises of three main regions: The High Pyrenees; The Sierras Exteriores; The Ebro Lowlands. The World Wide Fund for Nature (WWF), under its 'Living Planet Campaign', has identified 200 of the Earth's most biologically outstanding habitats. One of these is the Altai-Sayan Montane Forests Ecoregion, an extraordinary mosaic of coniferous forests, intermontane steppe and alpine meadows. Half the flora of Siberia is to be found here. The team of authors responsible for producing this remarkable book has surveyed over 300 endemic plants, many of which are important for medicine or food, to plug a gap in a poorly-studied region. The book contains the first photographs published of many of the species and is a testament to international scientific collaboration. 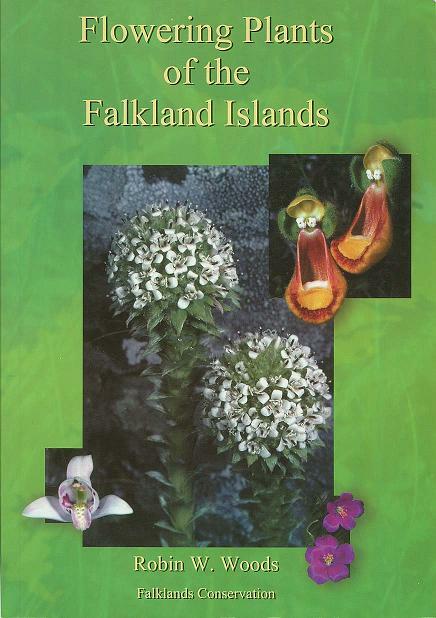 A handy photographic guide to 56 of the most common and attractive plants of the Falkland Islands, aimed at anyone interested in knowing more about the beautiful flora. 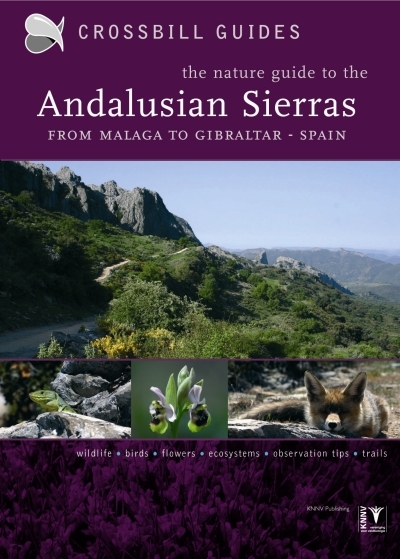 This easy-to-use book is an essential companion for botanists and naturalists visiting the archipelago or studying the beautiful flora remotely. It includes an introduction to the habitats as well as 11 delicious traditional recipes using native ingredients. 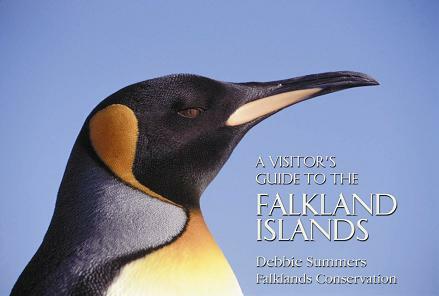 * An introduction to the habitats found on the Falklands. * Information on 56 plant species to be found on the islands. * High-quality photographs to aid identification. Seychelles are home to many species found nowhere else on earth, and a significant proportion are sadly threatened with extinction. 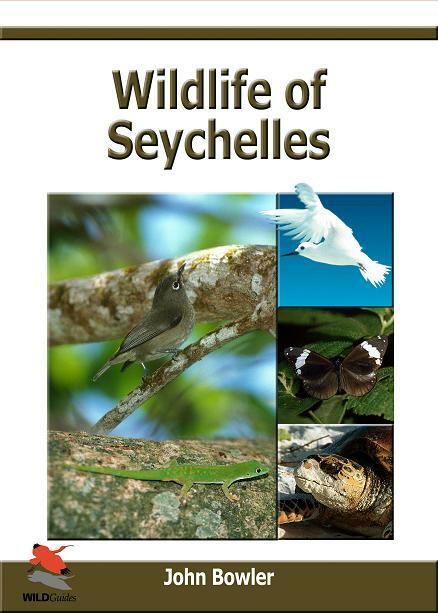 The archipelago is a key destination for wildlife enthusiasts and this photographic guide provides the first comprehensive overview of the birds, mammals, reptiles, amphibians, dragonflies, butterflies and other conspicuous invertebrates likely to be encountered by a visitor to Seychelles. The 64 remarkable photographic plates are accompanied by text covering the key identification features as well as notes on conservation status, habitat and distribution. The innovative, easy-to-use format aims to help the wildlife watcher identify the species they encounter, whether they be a beginner or an expert. 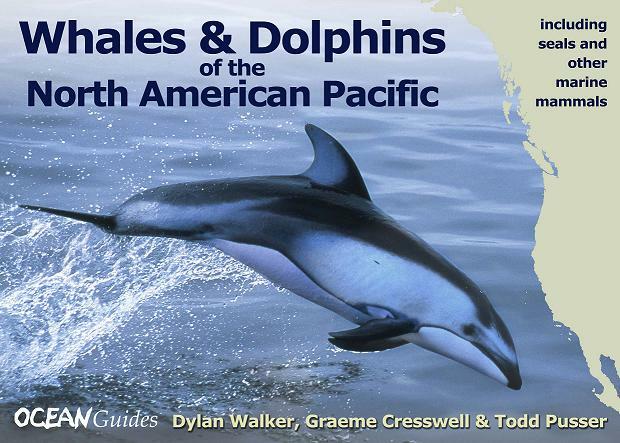 This is the first comprehensive photographic guide to the marine mammals of the North American Pacific (Baja California, Mexico to South East Alaska), covering all 38 species of cetacean (whales, dolphins and porpoises), 6 species of pinnipeds (seals and sea lions), and the Sea Otter. The 38 remarkable colour plates depict typical views of cetaceans at sea. They have been produced using the latest digital image technology and include images of some species never previously published. The text covers the key identification features of each species, emphasising the differences between similar species, and includes information on behaviour, status and distribution. Colour distribution maps and full colour artwork accompanies the text for each species. There are additional chapters on the geography, climate and oceanography of the North American Pacific. The book provides extensive information on where, when and how to go whale watching, and a guide to the best places to watch, including four accounts of outstanding days on the water. The behaviour section of the guide is packed with amazing photographs of all the key marine mammal behaviours, helping you to get the most out of your whale watching experience or use important behavioural features to arrive at a conclusive identification. Its innovative, easy-to-use format aims to help whale-watchers identify any species they encounter, whether they are a beginner or an expert. This lavishly illustrated book is the first comprehensive photographic guide to the Caprimulgiformes of the world. 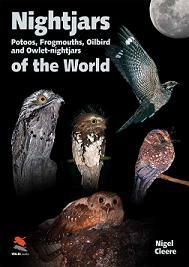 Each of the 100 species of nightjars and nighthawks, 17 frogmouths, 7 potoos, Oilbird and 10 owlet-nightjars are illustrated with high quality photographs, including many images which have never previously been published. Introductory chapters cover distribution, plumage and structure, biology and taxonomy. Concise text for each species covers size, identification, similar species, voice, habitat preferences, breeding, range and status. An up-to-date distribution map including historical data is shown for each species. ✦ Over 570 superb colour photographs – the work of 170 different photographers – covering every known species and including images of many species never previously published. ✦ Photographs of museum specimens of the five species which have not been seen since their original discovery. 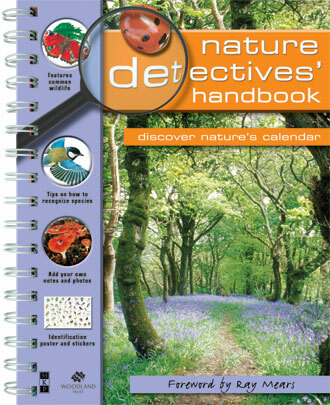 Visit the Nature Detectives children's books page. Buy your Binoculars & Telescopes from us.